Wiegand Liners sells and installs HMW and UHMW plastic dump truck liners for many applications in Peoria, Bloomington, Central Illinois, and throughout the Midwest. 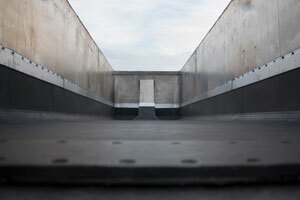 The most common applications for our liners are dump trucks and dump trailers, although belt trailers, hopper bottoms, off-road vehicles, vans, utility trailers, and loader buckets can also be lined. 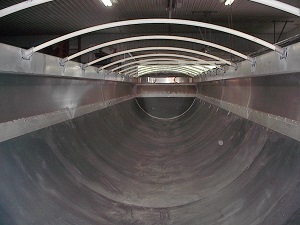 We also can replace the back half of worn liners by plastic welding on a new liner. With our plastic welder we can repair nearly any plastic application. Dump trailer liners bring great value in terms of wear, quicker release (1-2 stages), and safety (less chance of tip-over). Customers often drive as many as 300 miles for a Wiegand installed liner. Liners are stocked in house with professional installers onsite, allowing you to be back on the road in 6-8 hours. We also an installer for Ridge Corporation's Green Wing Aerodynamic Side Skirts, which are designed to improve your fuel economy significantly. For those seeking a superior product, quality installation, and outstanding customer service, contact Wiegand liners today via phone or submit an online quote request. ©2014 Wiegand Liners, Inc. All Rights Reserved.